Vista Pines #234 is a rustic 1940's single story mountain cabin which is fully furnished and features both a toasty living room area and an additional sitting room, and is located in a wonderfully treed and quiet neighborhood, just a short walk to the downtown Village for shopping, dining or entertainment. There is a practical kitchen that includes basic essentials for cooking, general appliances with a dishwasher,plus a small dining area with table seating for meals. The entry living room area has mountain decor and furnishings, comfy couches and a TV/DVD player, plus a toasty fireplace. On the other end of the dining room there is an additional sitting room with more couches available, a shared hallway bath, washer and dryer, and access out to the amazing back yard and deck. 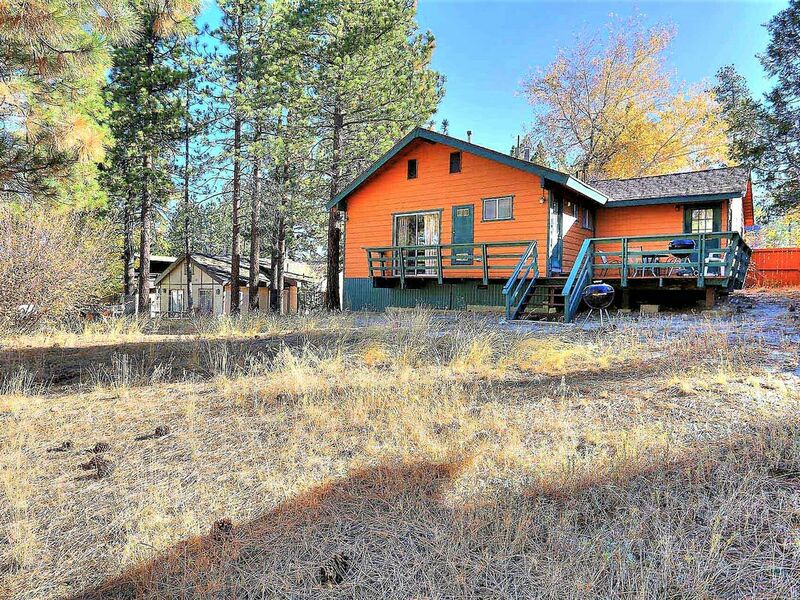 Vista Pines is an original rustic mountain home within a great location, and provides the essentials one would need for a nice Big Bear getaway, making this property a great choice for your stay. Cabin is clean but quite dark. It's near the lake & Village is big plus. Thank you for being our Guest. We strive for excellence and appreciate the feedback.